Captain Marvel the character and CAPTAIN MARVEL the book have been two of the most genuinely pleasant surprises of the past year or so in comics. Yes, I know Carol already existed in the Marvel U, but the slight tweaks to her personality and development of a supporting cast have all hit nicely. 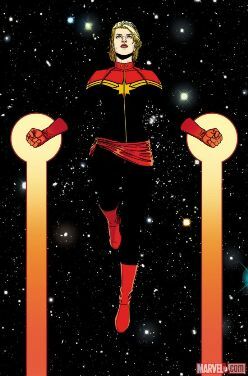 It started around the same time as HAWKEYE and has, I think, been overshadowed by it because of how capital E Excellent that book was, but CAPTAIN MARVEL is a consistently good comic, a solid superhero offering that features action, fun, and strong characterization. Plus, not to play this card, but yes to play this card, as a dad of a young daughter, the portrayal of women and especially the young neighbor warms my heart. Anyway, last week’s Psych Ward was all about the new status quo for Carol. I urge you to read my piece and hopefully be inspired to start buying the series. Or maybe (hopefully) dive into the back issues and/or trades. Especially starting with the second arc in when the narrative drive of the series really kicks in. A few weeks back I also Psych Ward-ed (boom, verb made!) 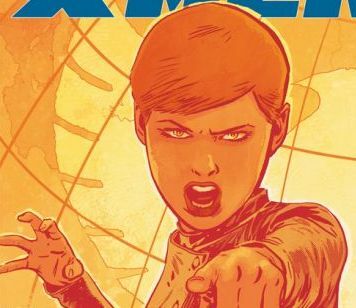 the Ultimate version of Jean Grey who really shows off some of the advantages of the Ultimate Universe where you can make a beloved practically founder of the Marvel U (Reed Richards) into a the worst villain on the planet or a the first female X-Woman a ruler of a country with very grey designs on uniting the mutant populace. By doing that, you can explore themes from a direction the main U. would never be able to handle and plumb other aspects of the characters you've never seen before.